Treasury securities -- 'treasuries' -- are direct government obligations offering interest and 24-hour liquidity. Insulating their owners from theft and bank failure, some regard treasuries as the safest form of cash. In 2008, there was a massive flight to the safety of treasuries. It was a year of bumper gains for those invested in them. In 2009, however, treasuries are increasingly at risk of becoming the next asset bubble to burst. 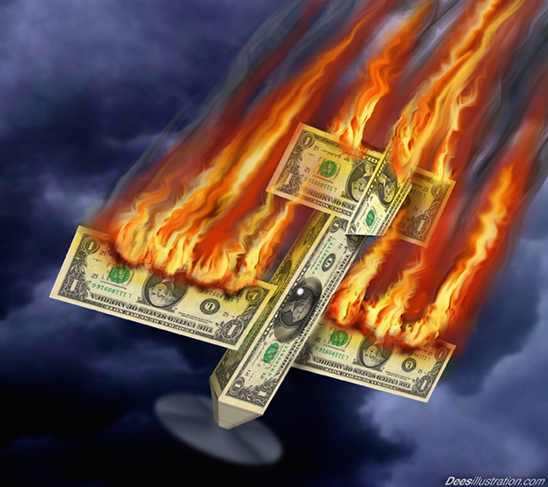 Worse still, if the U.S. dollar is devalued as a result of increasingly massive deficits and foreign sales of treasuries, dollar cash could crash. Consider first the nature of cash. Then, in light of factors that both boost and erode Treasury security prices, determine whether treasuries are safe in this environment. Most people view cash as monies on hand, deposits in the bank and investments in money market funds. Some investment managers also regard 'near cash' items such as prime bank certificates of deposit and short-dated Treasury securities as cash. Gold prices normally are affected by economic reality. In the short term however, the value of paper money can be influenced to the point of quasi control by governments. When the current recession loomed, institutions and individuals, both domestic and foreign, hoarded cash and ran for the safety of treasuries, driving up prices. As the Fed lowered short-term interest rates, short-dated treasuries rose further in price, bringing yields down to near zero. Hungry for yield, investors moved to longer-term treasuries, boosting prices still further. As the forces of recession appeared to steer inflation off the investment radar, long-term treasuries became even more attractive. The Treasury bull market was set. The government funded huge amounts of new debt at low-interest cost. With global recession, things are changing subtly and quickly, potentially exerting savage downward price pressure on treasuries and U.S. dollars. First, the U.S. government plans to float $1.7 trillion of Treasury debt in 2009. That is 12 percent of gross domestic product, 17 percent of the U.S. Treasury market (of which more than half is owned by foreigners) and twice the previous high set in 1983. To some investors this spells future inflation, putting downward pressure on long-term Treasury prices. Second, with global recession, foreign governments need to raise funds to enact domestic economic stimulus packages. They likely will liquidate their holdings of U.S. treasuries and convert the dollar proceeds into their own currency, putting further strong downward price pressure on treasuries and the U.S. dollar. Third, as the recession deepens in 2009, corporations and individuals also likely will sell treasuries to raise survival funds. Apparently, to counter this potentially massive selling pressure on treasuries, Fed Chairman Ben Bernanke made a surprising announcement before Christmas. He suggested that the Fed 'might' become a major buyer of long-term treasuries. But will his pep talk stem the potential tide of selling? It is estimated that $30 trillion was wiped from international stock markets in 2008. In addition, $10 trillion was eroded from house values in America alone. It is likely, therefore, that the recession will be both long and very deep. This will put pressure on Congress to press for huge stimulus packages of many trillions of dollars. If Barack Obama is tempted to follow the socialist tendencies of his predecessor, he will have to think, not in terms of a trillion dollars, but multiple trillions of dollars in economic stimuli. If Obama fails to hold the difficult political line against socialism, the amount of government debt is set to explode. This will drive treasury prices through the floor, setting off one of the largest financial bear traps in history. It also would threaten the Triple-A credit rating of the U.S. government and the advantageous status of the U.S. dollar as the world's reserve currency. Questions then would be asked about America's ability to service, let alone repay, such massive debts. With more than half the outstanding treasuries held by foreigners, any collapse in their prices world put great downward pressure on the U.S. dollar. Facing such a collapse, Obama would find it hard to resist dramatic dollar devaluation to reduce American debts. Such a move could trigger a terrifying general flight from paper. Any crash in paper cash would reinstate gold as the ultimate cash. The brunt of ridicule, old-timers often kept gold coins in shoeboxes under their beds. It might not be such a joke by 2010.